Today is a big day- I am setting up Book 4 to go to print tonight- I am very excited with what is happening and how things are turning out. I am finishing off a few last minute corrections for the interior and the cover. This is exciting to see what is finally happening and I am very humbled by the support that is being sent our way. It’s nice to see the Comic in print form. I truly hope you are enjoying the tale- and look forward to seeing where the story will go next. Right now I am working on a way to build the traffic up again. So I am always open to suggestions- it seem like B/W is getting pushed to the wayside. Which saddens me- but I completely understand. It is giving me a lot to think about. What are your opinions. I love black and white. One of the reasons I've gotten into Manga in recent years, and why I went to the trouble to hunt down original ElfQuest issues, before it was colorized. While color can be gorgeous, I find the stark contrasts available in black and white a special kind of beauty. 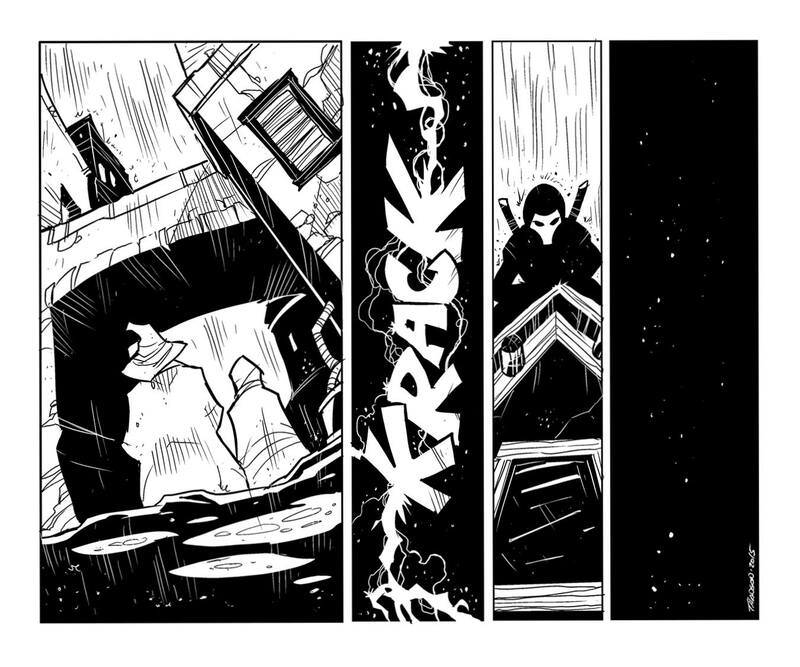 In my opinion, black and white tends to make for more lovely comic-style stories. Commerce and art rarely work for the same goals. When they do, you will prosper. When they don't you will have to survive as best tyou can. Some poetic souls have friends who are capitalists, but you most retain control of your work. I am older, so the internet is a revelation to me. Fan support seems to be a form of community that gives the feedback that Goethe talks about. (Conversations with Eckermann). You'll have to make a personal decision to balance story and artwork. All I can say is that I'm enjoying your story line which for me is the important part, but the color is nice (and probably more important to other people). Persistence is even more important. Thank you for your inspiration. I wish more people appreciated B/W artwork. To me, B/W is to full color artwork what a text-only book is to an illustrated book. When I read a story without pictures, my mind and imagination are forced to engage and interact with the text to create a story in my head. When I read an illustrated story, the pictures don't replace what my imagination would have come up with, but they do influence the direction my imagination will take. In the case of B/W verses color art, this effect is not as strong, but is still there. We get so accustomed to seeing everything in full color, we tend to get "bored" with black & white only. This should not be! When I see good B/W artwork, I find it engages my mind and imagination, challenging me to "fill in the blanks" and add my own color, or guess what the color should be based on the context. That said, in the case of The Bean, it has been awesome to see your new colored-in pages, because I get to see what the artist actually envisioned those colors to be. It adds so much to the story. In conclusion (sorry this is so long), I enjoy a large variety of artwork, color and B/W, so I am not saying one way is better than another. I just wish both forms of art where equally appreciated. Keep up the great work, Trav! And in the darkness there shall be one watching, waiting for a moment. We can only hope Otter finds that one. So awesome, I love all that you do! Keep it UP! Color is nice and all but I like the Idea of maybe a few pages as self coloring items. That doesn't work so well for e-Books though. ' I'm quite satisfied with the black and white format. It leaves so much for the mind to supply itself and leaves room for the story to dominate rather than wowing with art that takes so much more effort to produce and winds up dragging so much that it takes longer for the story to be told. A Redtails Dream, Minna Sundberg is such an example where Endtown , Aaron Neathery takes so many twists and turns in the story itself is intriquing in itself without color. There are many myself included who find that coloring would only distract from the story but a chapter break with a colored page would give a frame of reference for defining the world of the "Broken Moon." And maybe a colored banner for TWC listings would make it easier to find.